People who have lost most or all of their teeth either due to decay or gum disease often feel desperate. They don’t think there are any other options for them other than removable dentures. Sometimes patients have such severe decay, or so much bone loss in the jaw that most of their teeth have to be pulled. These extreme cases require extreme treatment. Once the teeth are pulled, patients can have treatment planned for a full mouth reconstruction with IMPLANTS. 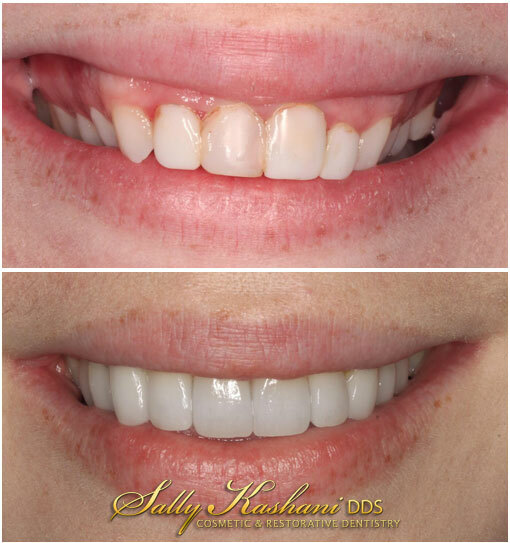 Full-mouth implant reconstruction is a series of procedures that is used to completely remake the tooth structure using dental implants, and prosthesis that fit over the implants. Patients can regain the confidence they once had when they had their full set of healthy teeth. It is important to discuss dental hygiene and make sure it is improved. If diet and lack of proper oral hygiene are the reason the patient lost their teeth in the first place, it is very important to realize that like normal teeth, implants can be lost as well. Although they can’t get cavities, implants like natural teeth roots are surrounded by bone. Plaque and calculus buildup can lead to peri-implantitis, bone loss around implants and lead to infection and implant loss. Once the decision has been made to start treatment, there are different steps that can be taken depending on if the patient still has teeth or has already lost their teeth. A general dentist who is very knowledgeable about implants and their restoration, will usually work with a surgeon (Periodontist or Oral Surgeon) very closely to come up with the best treatment plan for the patient. Patients undergoing full mouth implant reconstruction will need to have their mouths thoroughly examined by both doctors before treatment can begin. This can mean impression modeling of the teeth, multiple X-rays, and sometimes even digital recreation of the patient’s teeth, gums, and jawbones. Once the doctors have established a treatment plan, a full-mouth extraction will be performed, and bone grafting and implants usually can be placed at the same time. Bone and tissue grafts may need to be placed to rehabilitate weak areas of the jawbone. Temporary removable dentures can be made for the patient during the healing period. If necessary or desired, patients may have mini-implants placed alongside the regular implants to hold their temporary denture or bridge in place better. Oral or IV sedation is usually given to patients for extensive cases, to make the procedure more comfortable. After the surgical procedure the healing time is usually 4 to 6 months. During this time, patients may remain without teeth, or false teeth. During this time the patient will make several visit to the dentist to make sure the temporary dentures are fitting well and to make adjustments. Due to healing process the shape of the bones will change so the temporary dentures will need to be relined. After 4 to 6 months, the prosthesis can be fitted to go onto of the implants. But there are different prosthesis’s that can go on top to the implants, depending on how many implants are placed and the patient’s preference. 1. Full Dentures can be made to "snap" on to the implants so that there is no movement during eating and functional movements. This is called an OVERDENTURE. These are removable and are taken off at night. 2. Fixed Hybrid Dentures are not removable and are a combination of dentures and traditional crowns that screws into the implants as a single unit. 3. Individual Implant Crowns or several Implant Bridges can also be constructed. The final results are fully reconstructed dental structures, returning the patient’s ability to bite, chew, and speak naturally. Call us at (818) 508–7272 or contact us for more info.